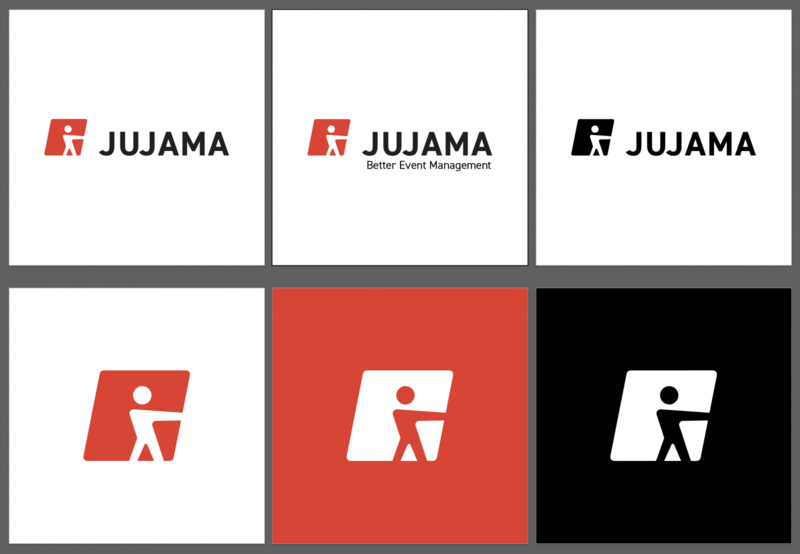 This morning Jujama’s new logo, which I wrote about here, was featured on BrandNew by Under Consideration. That was nice to see. This project was not part of my Design Challenge. However, I thought I’d catalog this project here as I was the primary designer working on it, with help from Jujama’s designer Lindsey Jamieson. Jujama is a nearly 10-year-old business (and my current employer) with global clients and a sophisticated product that services top-tier customers. The overall goal of the rebranding was to bring forward some element from the old logo – in this case, the “handshake” – and add energy, a more dynamic color pallet, and have the logo and mark be far more versatile than the old one. I started by sketching all sorts of ideas. 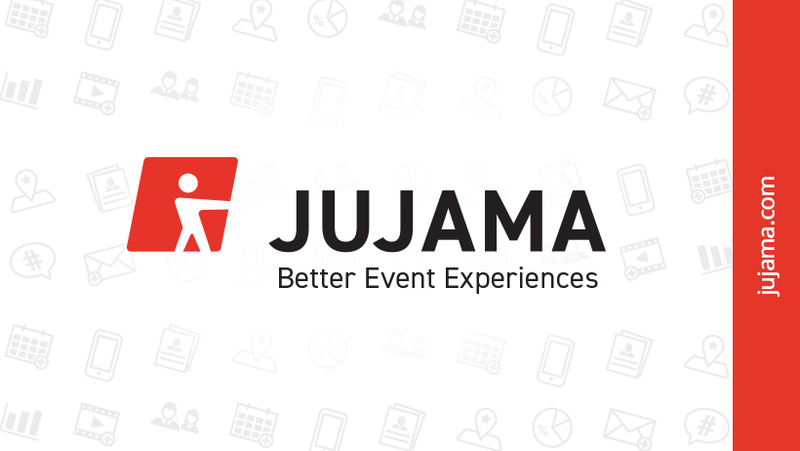 Since Jujama offers a product to event management companies I used event-related iconography like lanyards, chat bubbles, audiences. I also tried several iterations using a recognizable J letterform but ultimately moved away from that concept. Once I was in Illustrator I went wild on a few of these ideas – trying my best to find their edges. A few of them I spent multiple days with, trying to see if any of them had longevity. Here are a few of those. Then, one day, while working with Lindsey on pulling forward the handshake concept I deleted one of the people in the handshake. And, there it was. Our new mark. It took several more weeks of tweaking the paths, the square, the edges, and settling on a type before we ended up with the above result. Thanks also goes to Kyle Ruane, who I sent a version of this to, that provided some really key feedback as he always does. 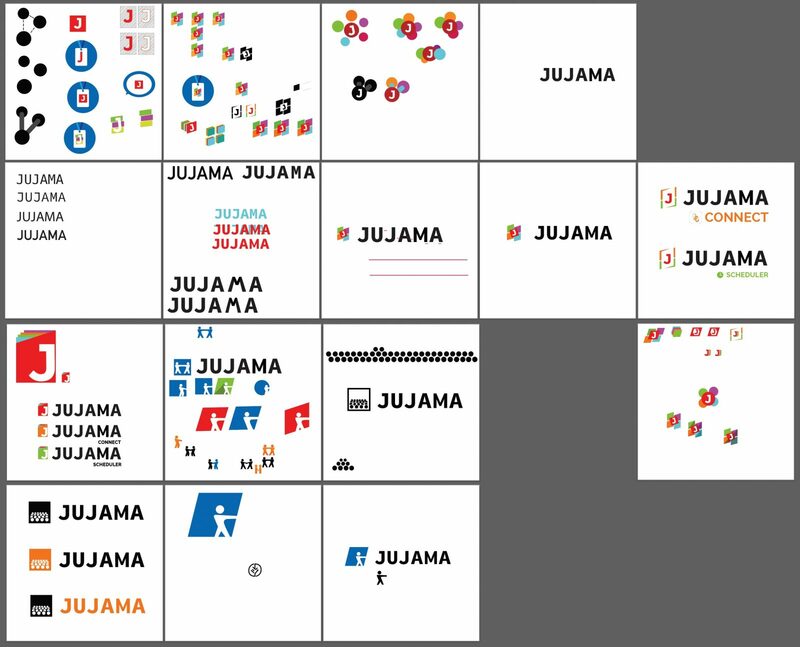 This was a really fun project and I can’t wait to see how Jujama’s brand saturates this industry over the next few years. I updated my design challenge page. This has been so fun and I can’t wait for the next few. This post is in a series I call The Grand Brand Design Challenge where I’m trying to flex my muscles in brand design. 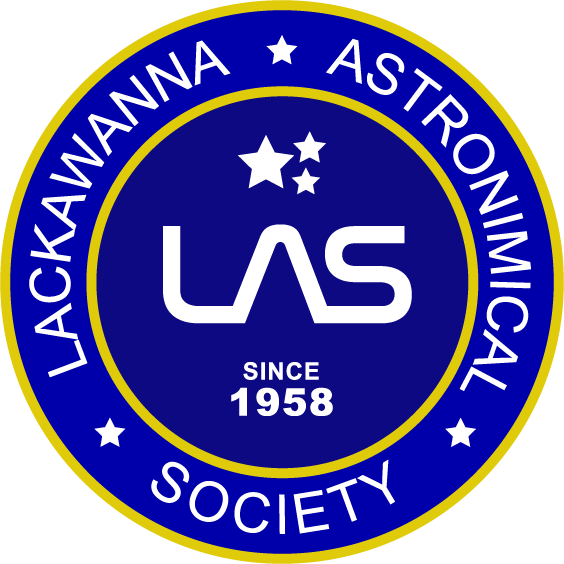 The Lackawanna Astronomical Society is a club membership for astronomical enthusiasts in the county that I live in. I frequent one of the observatories that they use for their events. When I saw that their badge was long out-of-date, and inconsistent on several of their print-outs, I knew this would be the perfect candidate for my design challenge series. I skipped the sketching phase of this project because I knew immediately what I wanted to do. I planned to recreate their current badge, bring it up-to-date, improve on a few small things, and then provide several options. And I wanted to do so in the least amount of time possible. I was able to complete this in about an hour. I still have a few things I may clean up if I revisit this project (I’m sure if you have good eyes you can see those things). One improvement on their current badge that I knew I’d do right away was improve readability. The dates and text “observing fifty years” tagline are both out-of-date and tough to read. So I simplified that to just “since 1958”. I thought about remarking that it was now 60 years but that would limit the use of this badge. Another thing I wanted to improve was the LAS type. 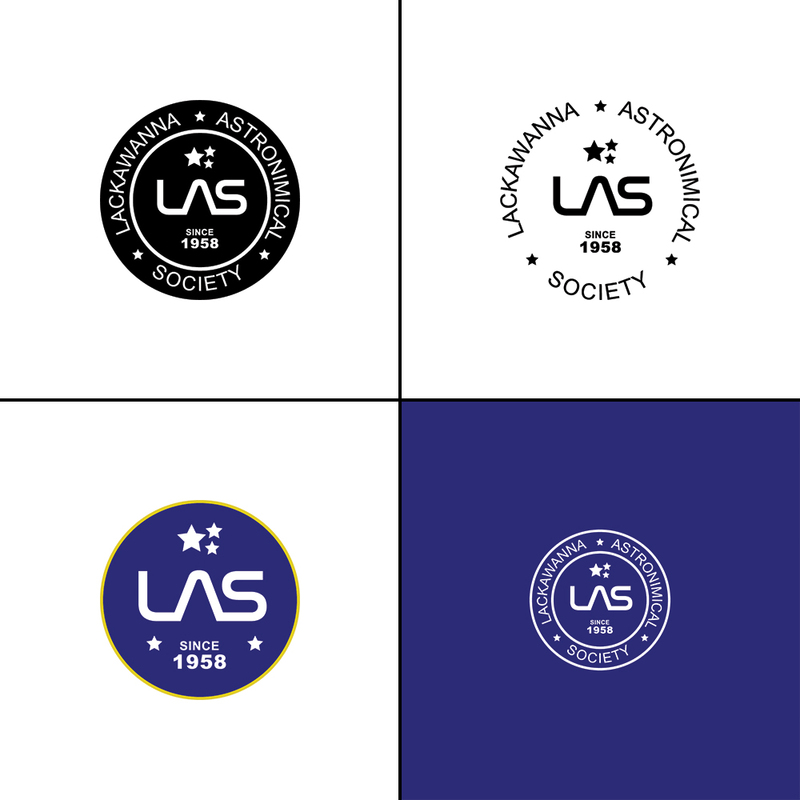 Clearly they attempted to mimic the old NASA logo so I just went all the way with that and did it. Here are the variations that I created. I added the additional simplified icon so they could use it in contexts where the text would get too small to read. I think if I revisit this project in the future I’d simplify it even more. I’m super happy with how this turned out. 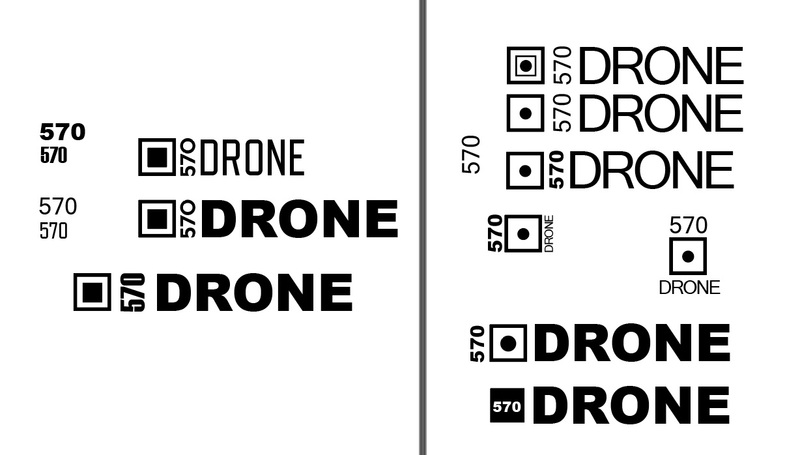 My friend Frank, who recently loaned me his sweet goggles, has a small aerial footage company called 570 DRONE. Essentially he’s officially certified to fly an UAV professionally. He uses his drone a lot for real estate and also to capture the local area. I decided, as part of my design challenge, to give him a simple brand identity for his business. And here is an artboard or two with random bits and pieces of me trying different ideas and abandoning them. This process is always fun. I never know what is going to come out of it. And in this particular instance the final logo isn’t anything that originally came from the sketch but from this process of fooling around in Illustrator. Again, I chose something simple because the brand is in the name and the colors I chose were due to him working on construction sites a lot. I also made black and white and inverted versions for him. Some things I’d like to improve on for next time: I’d like to record my sketching and illustrating and do a video with voice over explaining some of the decisions I’ve made along the way. Would you like a logo on the cheap? Get in touch. Finishing up a brand identity for local company for my design challenge. This is fun. I’m excited to start a brand-new series here on my site — The Grand Brand Design Challenge. I’m equally excited to be starting this series with a personal project I’ve been working on since 2010, The Watercolor Gallery. 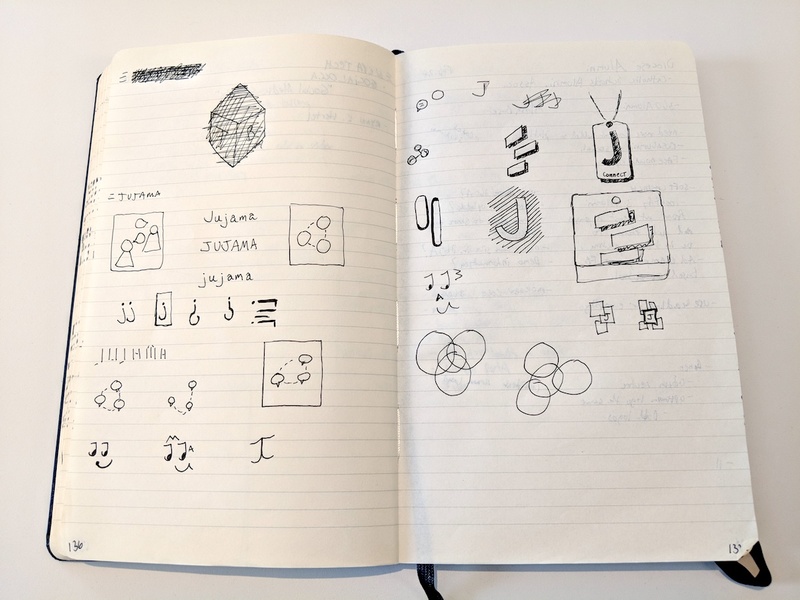 Read more about The Grand Brand Design Challenge on its own page. 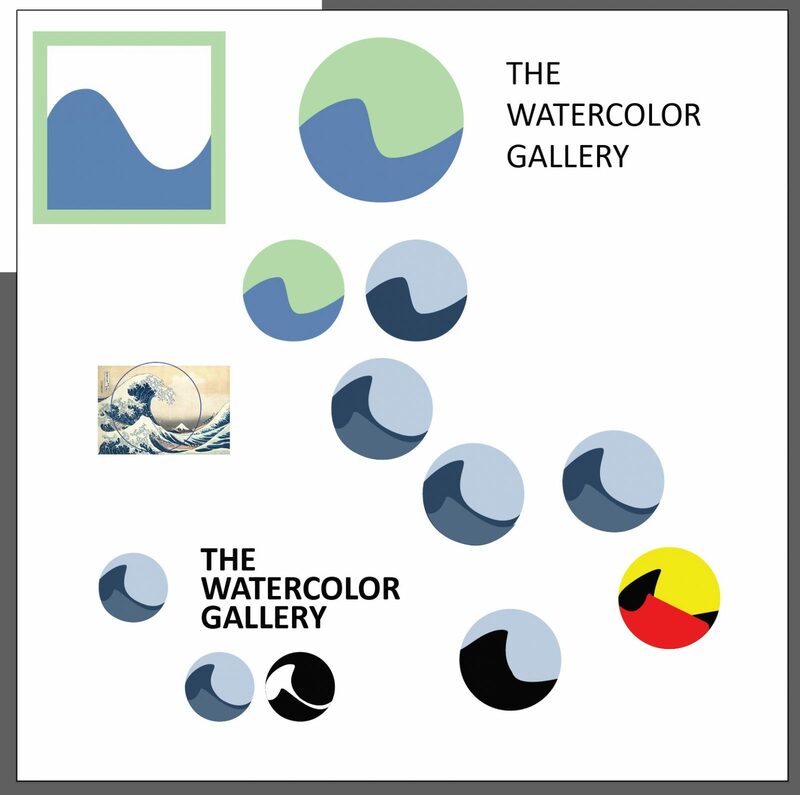 I’ve only taken the time to design two logos for The Watercolor Gallery over the years. Some attempts I posted on Dribbble and a few never made the light of day. Recently, however, I’ve begun posting new content and interviews and the Twitter account is just about to pass 4,000 followers. So I thought it might be a good time to revisit the logo and refresh it. Here is how this new logo compares to the previous one. 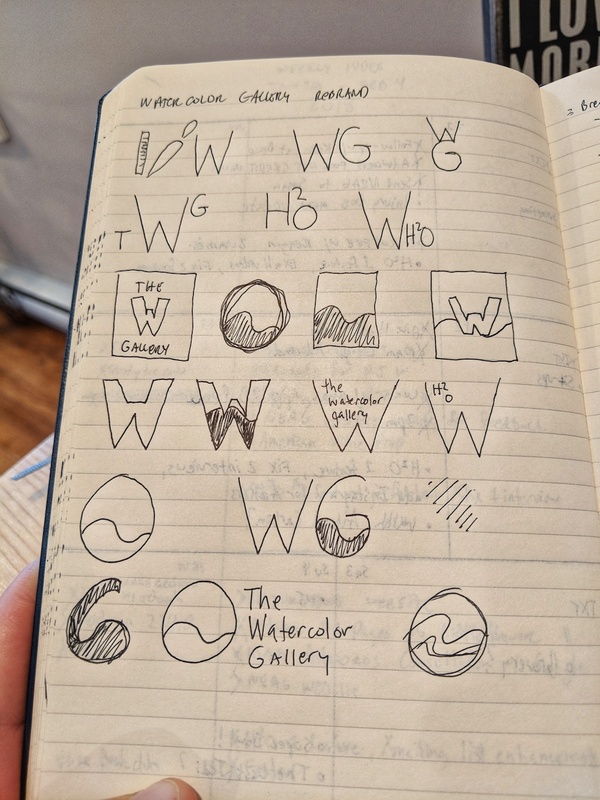 When embarking on a rebrand I typically like to pull some inspiration or an element from the previous logo into the new one. In this case, the ocean wave that I had prior has been pulled forward. 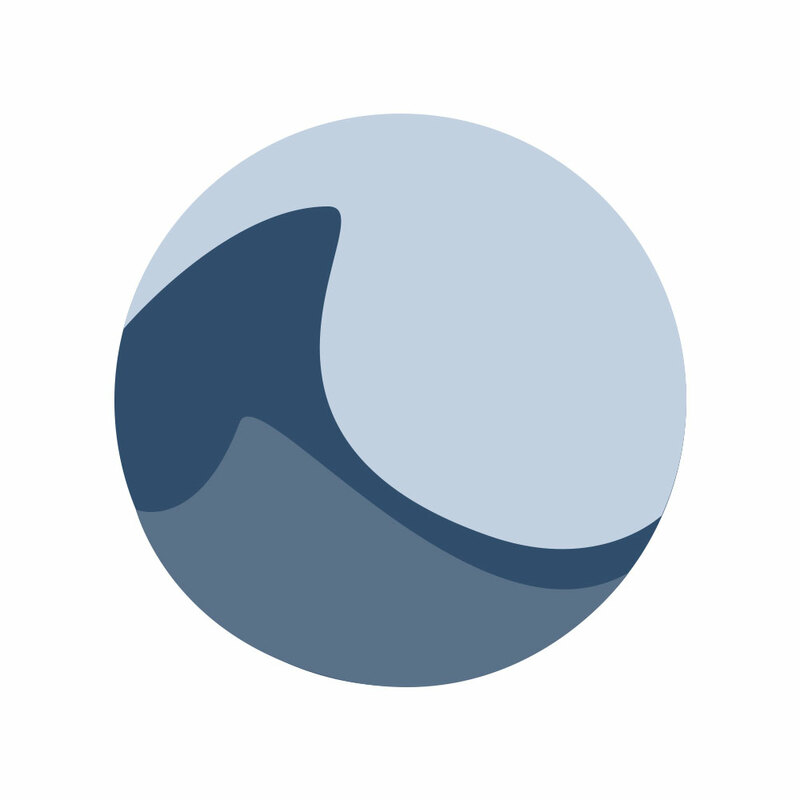 However, a much stronger inspiration came from The Great Wave off Kanagawa. I wanted to somehow capture the motion of that great, classic painting and pull it forward into The Watercolor Gallery’s brand identity. It took me a while to get these lines to work properly. And I’m sure a more critical eye would say they still aren’t quite there. But they are there enough for me for a small personal project. I’m very happy with the mark. Using the path tool in illustrator proved to be more challenging on this piece. Thanks to Kyle Ruane for his helpful tips in cleaning up a few things. 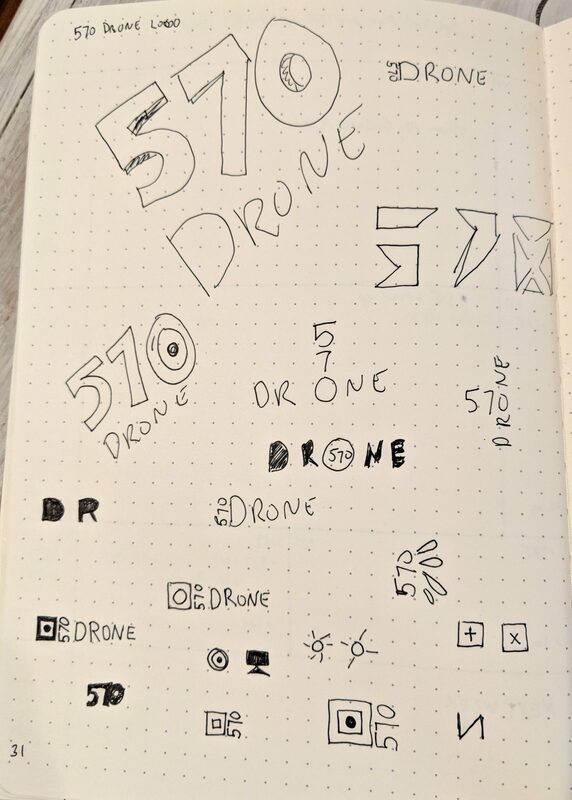 Above: A bunch of scribbles in my notebook of some rough ideas. Above: An illustrator artboard with variations and attempts at the shapes along with the two main inspirations for the mark. 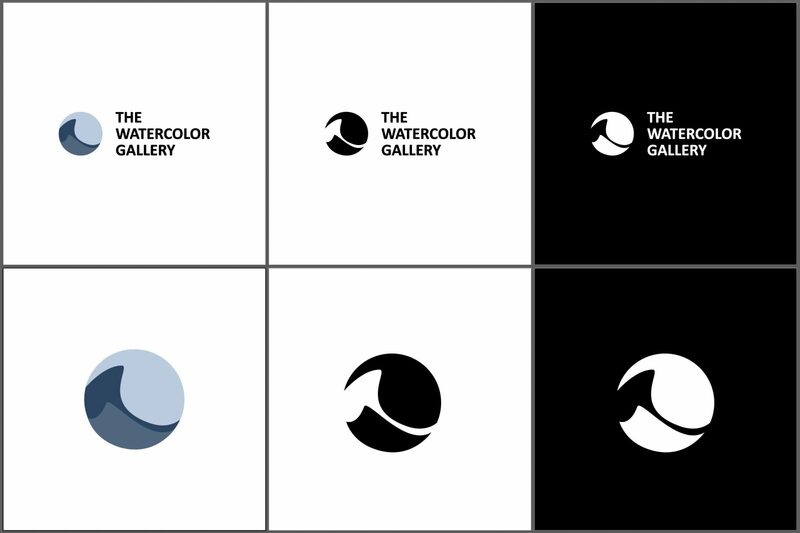 Above: A few variations of the logo mark for black and white and inverted options. I’m looking forward to implementing this new logo design over the next year on the web site and social accounts for this project. If you would like a logo for your project (company, app, etc) please feel free to reach out to me. I’ll do it on the cheap.